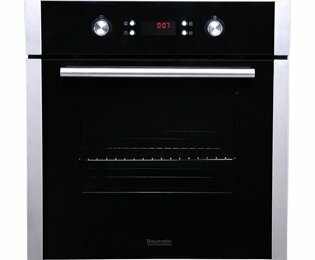 With a sophisticated black glass design, this built-in single oven from Baumatic will look great in your kitchen, whether fitted at eye level or under a counter. With 10 cooking functions, there's a programme to suit every recipe - and it's easy to select the right one using the two retractable dials and clear LED display. 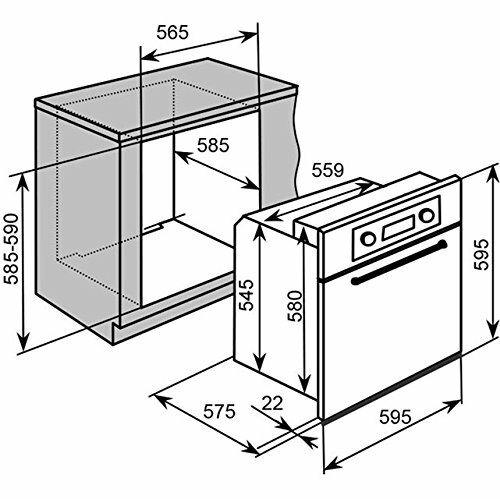 The pyrolytic cleaning feature eliminates the need to scrub the oven too - grease and food residues are burned to ash, which can be wiped away with a damp cloth once the oven's cooled.